Please select a date of play to check availability on Benamor. 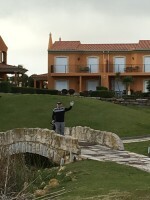 Due to the ease of the access from the Via de Infante to Tavira this course with its growing reputation for player enjoyment is already well established in the golf world of the Algarve. 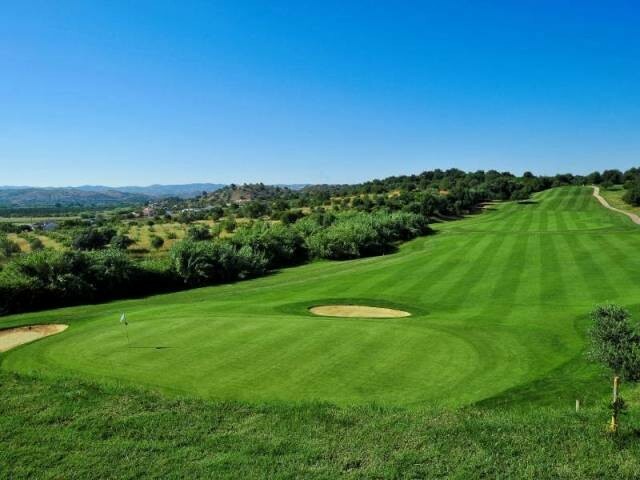 Laid out on mainly undulating land the course offers pleasant views both to the Atlantic Ocean and inland to the hills of the Serra do Caldeirao. The Benamor Course is varied in play and is rewarding to most average golfers. The strategic placed bunkers and occasional water hazards make the course a never too comfortable experience! I thought the course was in very good condition considering the burning summer Portugal has had and the foot traffic. Greens were excellent. Very, very good value for money. Some drivable par 4’s give you a chance for a birdie but others are tricky. Course management more important than just bombing it. Nice little clubhouse with friendly staff. Staff and clubhouse very attentive. Course not too hard for mid to high handicaps, although not too difficult for low handicaps. Good condition and would play again. Numerous well places trees which should be avoided. Overall, worth a visit. Nice outside seating area for the non golfers and friendly staff looking after your every needs. We were advised that the greens had been hollow tyned in advance and were given free buggies for the inconvenience. But the greens were still playable. In fact a lot better than the ones at Castro Marim where we were not told about green maintenance at all. All the staff were friendly. A very enjoyable round. To post a review, score or a notice on Benamor page's or to connect with other Benamor golfers, please log in to your account or sign up using Google or Facebook.